It recently dawned on me that I haven't done a wishlist post in a month! I thought it was about time that I shared what I'm lusting after fashion wise at the moment, I was running out of blog post ideas as well! Apologies that it is mostly dresses, so many have caught my eye recently! Since being sent one of their soft and cosy cardigans (read that post here!) 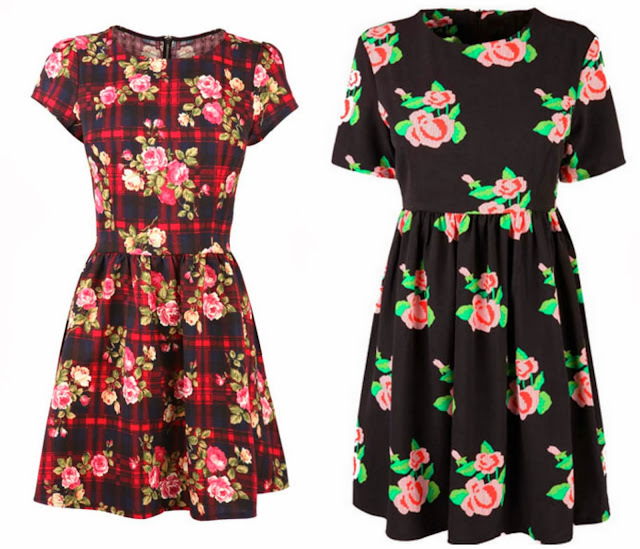 I've been on the fashion union website a lot and so many dresses have caught my eye! I've never really one to wear patterned clothes but this tartan/floral layered dress really caught my eye and it brings 2 of my favourite trends together! As for the other dress I came across it on the lovely Becca's blog and it went straight onto my wishlist, read her post here! Recently love from misbehave branched out into clothes and shoes, the shoes don't appeal to me massively but the clothes certainly do, especially the dresses! I love the daisy dress a lot, it would be perfect for Sixth Form and also shopping and meals out I think. The jumper looks incredibly cosy as well and would be perfect with jeans I think! The last dress is something that I've been looking for, I've been trying to find a burgandy/red skater dress with 3/4 length sleeves for a while so this went on my wishlist straight away! 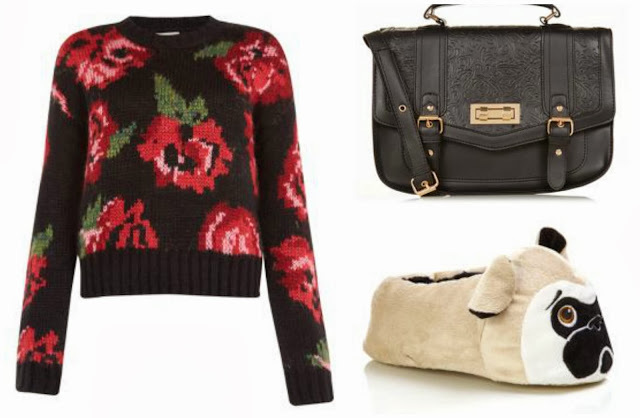 This Rose Knitted Jumper looks so cute and also comfy at the same time! I think it would look great layered over a plain black dress and paired with some boots. This bag also caught my eye, my bag is now way too small and I've been looking for a new one, I'd love to treat myself to this satchel bag! Finally these pug slippers speak for themselves, so cute!